Despite some early challenges and resistance, companies such as Google, Uber, and Drive. 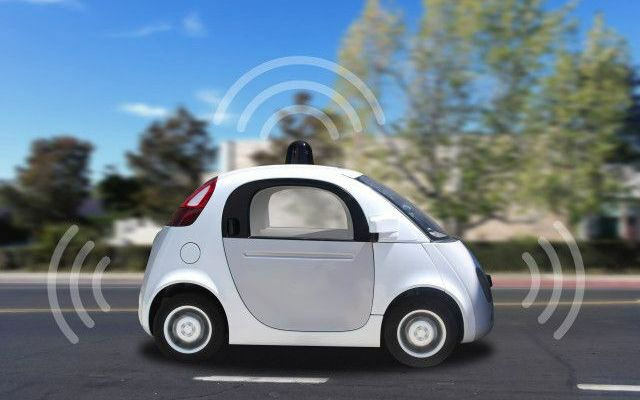 AI continue to pursue their efforts to make driverless cars an on-road reality. If the trend continues, and so far it appears that it will, Carol Reilly, president of Drive.AI, predicts that driverless cars will usher in a new personal and economic revolution akin to that of the smartphone. According to Reilly, driverless cars are about much more than hard-code detection features powered by “if, then, else” statements. Her company is developing an artificial intelligence system that allows the driverless car to be powered by deep learning. Therefore, instead of using code to detect specific features such as guardrails or bicyclists, “deep driving” powered by deep learning can identify objects and people faster by processing multitudes of data at great speeds. The artificial intelligence is used for building maps, identifying objects on the road, and coordinating information from radar, lidar, and camera sensors. By working on these tasks simultaneously, deep learning provides a smoother ride for the rider while accounting for the randomness that inevitably occurs on the road. Reilly expects the typical driverless car passenger to gain back approximately two hours of commute time each day, which is what will trigger the next big app boom inside the driverless car. In world in which riders are free from concentrating on driving, Reilly predicts a driverless car will become a personal hub akin to a mobile living space. While people go from point A to point B, they will essentially be sitting inside their cell phone, open to a new world of apps tailored specifically to the driverless car. However, driverless cars have some challenges to overcome before they can usher in the revolution Reilly describes. Present models of self-driving cars, such as those tested by Uber in Philadelphia in 2016, do not yet employ deep learning. Instead, they rely on traditional coding and logic conventions that do not cover every situation that can arise on the road. 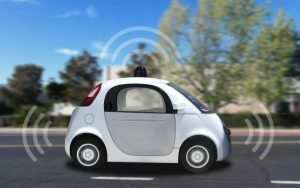 Therefore, these models of autonomous vehicles still require human drivers to take over from time to time, such as when a driverless Uber car could not react to a truck making a right turn from the left lane. Another problem is navigating bridges, as they lack surrounding landmarks like buildings and therefore confuse the autonomous vehicle about its location. However, these challenges are expected to fade as deep learning systems become prevalent and there are fewer human drivers behind the wheel. A more insurmountable challenge may lie in the underlying regulatory framework surrounding motor vehicles. Fearing the loss of thousands of jobs, the Upstate Transportation Association of New York, an organization that advocates for professional drivers, has petitioned the state government to ban driverless cars from the state’s roads for 50 years. Citing Uber’s testing of driverless cars, UTA fears that New York’s plans to allow ridesharing services such as Uber and Lyft beyond New York City will destroy the livelihood of professional drivers over the long run. Nevertheless, despite UTA’s objections, New York is poised to follow through with its plans. Moreover, UTA’s objections have not received a response from the state government.